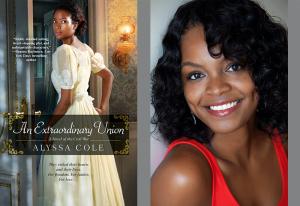 Alyssa Cole, author of An Extraordinary Union, will be joining a stellar panel of authors at this year’s Literary Tastes event at ALA’s Annual Conference in New Orleans. 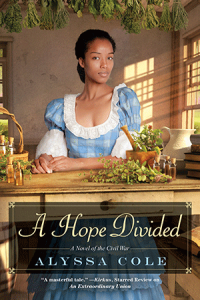 As the first book in The Loyal League Series, An Extraordinary Union (Kensington Books) was selected as this year’s Romance category winner on the Reading List for outstanding genre fiction. The Spymaster’s Lady by Joanna Bourne, Indigo by Beverly Jenkins and His at Night by Sherry Thomas. Cole is a science editor, pop culture nerd, and romance junkie who recently moved to the Caribbean and occasionally returns to her fast-paced NYC life. Her writing has been featured in publications including Vulture (New York Magazine’s entertainment blog), Heroes and Heartbreakers, and The Toast. When she’s not busy writing, traveling, and learning French, she can be found watching anime with her real-life romance hero or tending to her herd of pets. Cole joins authors Kathleen Rooney (Lillian Boxfish Takes a Walk), Thi Bui (The Best We Could Do), narrator Scott Brick (Dead Wake) and Seanan McGuire (Down Among the Sticks and Bones) on the panel to discuss their writing (or performance) process, story line development and inspirations. The panel features authors and narrators that have been named to one (and sometimes more) of RUSA’s Best of Lists for fiction, nonfiction, poetry and audiobook narration in 2018. Literary Tastes takes place on Sunday, June 24, 8-10am at the New Orleans Convention Center. Tickets are available at the ALA Annual Conference website and can be added to your registration later on. Attendees will enjoy breakfast and a book signing immediately following the event. Be sure to add it to your schedule!